On Wednesday November 14, 2018, high school athletes across the country put pen to paper, officially signing their NLI (National Letters of Intent) to commit to their future college athletics programs. 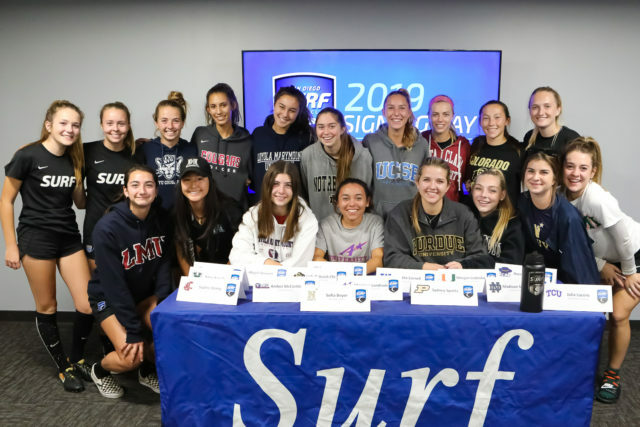 At the Surf Cup Sports Park in Del Mar, San Diego Surf Soccer held a celebratory signing ceremony for their impressive class of high school seniors. 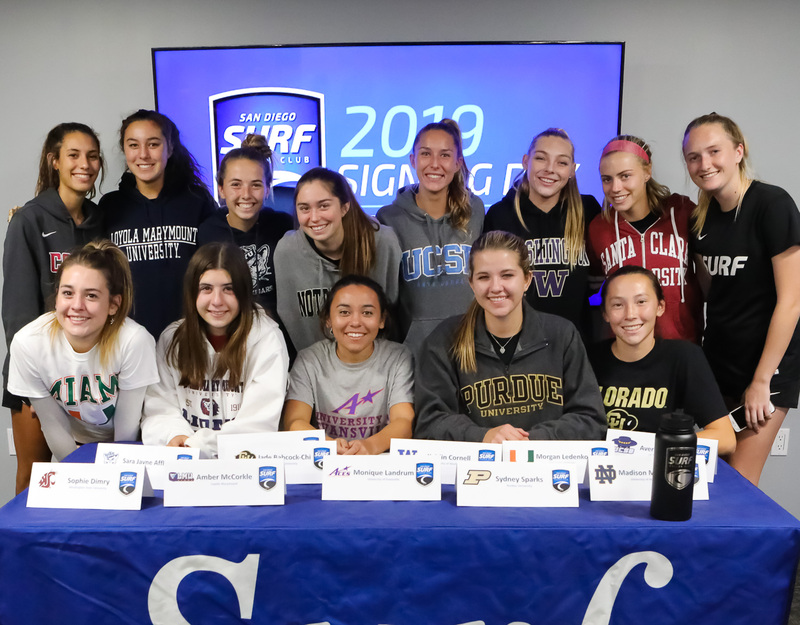 Across both USSDA and DPL teams, San Diego Surf has twenty-three players officially committed to women’s college soccer programs nation-wide. 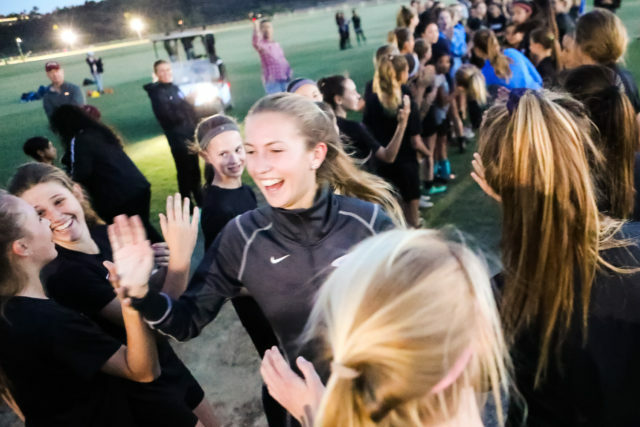 As the sun set and training ended for all Surf teams, younger players lined up forming a high-five line. The Class of 2019 seniors arrived and joyfully ran through collecting high-fives and cheers from their fellow Surf players. Players and families then entered the Surf clubhouse. 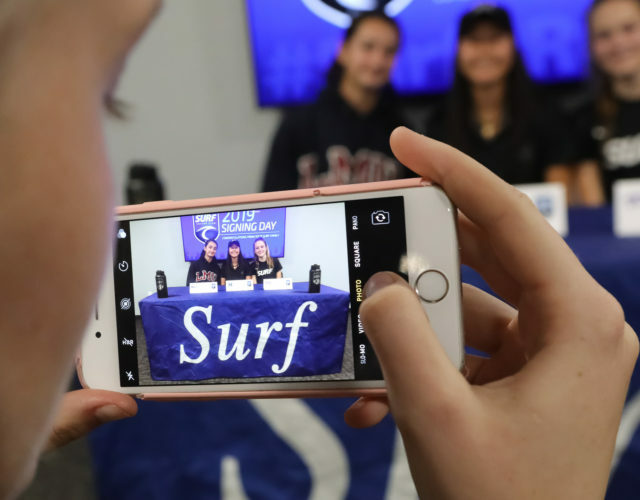 Coach Mark Spooner had arranged a signing ceremony for the girls’ 2019 graduating class. From all of us at SoccerNation, congratulations to all of these outstanding athletes and their families!